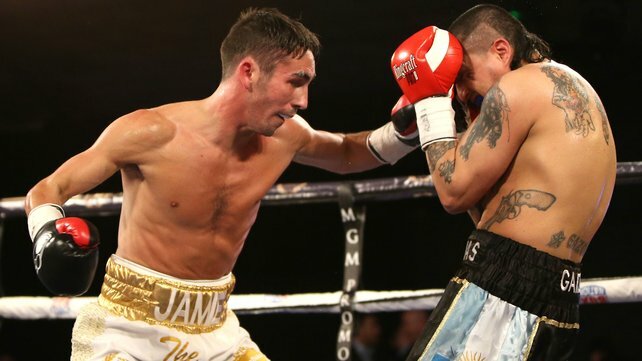 Back in July, Belfast’s Super-Flyweight contender Jamie Conlan got to scrutinise IBF Champion Jerwin ‘Pretty Boy’ Ancajas from ringside, whilst supporting brother Michael in Brisbane, Australia. The feisty Filippino southpaw, beaten just once in 29 with 18 kayos, appeared ruthless whilst destroying Japan’s Teiru Kinoshita in seven. Conlan faces Ancajas for the World title at the SSE Arena Belfast on Saturday November 18, live on BT Sport and BoxNation. “I got to see the first round and then the final couple of rounds from ringside and Jerwin was very impressive. Studying from close up, rather than on TV you get to hear the thud of a fighters punches. It can be daunting. For one so small, he’s extremely powerful but he’s not just a brawler and a banger. He started out nice and relaxed, patient in his approach. Like all the top Asian fighters around the weight, he’s extremely tough. He’s got a good grasp of distance and range and systematically breaks opponents down. Once he gets inside, he’s shown a ruthless finishing instinct. At the post fight press conference, The Japanese kid’s face was in bits. He was mentally and physically f***ed. And Jerwin’s just 25, still to hit his prime. In Australia, he was training at the same time as my brother Michael who got a good look at him. Ancajas was wearing a sweat suit for every session and there was talk from his camp that he may be moving up. The Filipinos were meticulous in everything they did and Mick said they were good people, smiling all week, very humble. The world champion requested a photo with Michael, a bloody novice (laughs)! He has been on my radar for a wee while now. Ancajas was a big underdog when he won the title, beating a very good champion McJoe Arroyo, a former world medallist and Beijing Olympian, over in the Philippines. I’d be an underdog against any of the champions but, looking at that list, Ancajas might be the weakest of the current crop. My team need to scrutinise all his tapes and come up with a master plan. At premium level, every fighter is fit and capable. It’s the incidentals like home advantage and tactics on the night that make the marginal differences. Though Jerwin’s a southpaw, he doesn’t really fight like a southpaw. He’s not a tall, awkward, elusive one. He seems easy enough to hit. He doesn’t fully capitalise on his southpaw advantage. While he’s used to facing the Asian style, he could probably be out boxed from the outside by a big European, like myself. That’s what I need to do, to win the fight. His manager introduced us and, up close and personal, I was a lot bigger. If Ancajas could drag me into a war, I’d have to go really deep. He drowned Kinoshita. Remaining disciplined would be the key. I don’t have a great track record! Tickets for Ancajas v Conlan will go on sale on Wednesday 4th October via the SSE Arena Belfast Box Office, www.ssearenabelfast.com and 028 9073 9074. Further details on ticket prices will be released in the coming days.